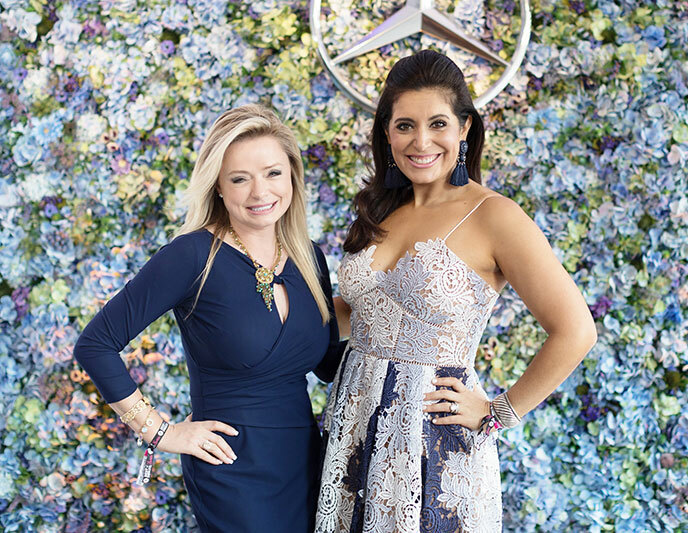 I had the opportunity to showcase my blue silk floral wall at the Philly Magazine “Best of Philly” Soiree at Dilworth Park last week. Guests sampled the city’s best bites, danced the night away al fresco to the sounds of DJ Adrian Hardy, and were photographed in front of my blue wall that radiated by the park fountain. The wall was adorned with the Mercedes Benz emblem, the main sponsor for the party. Truly an honor to work with the “best” of the city! This event is the capstone of a month of curating the best the city has to offer. More than 1,500 guests were treated to exquisite food from past and present “Best of Philly” winners including, Fork, Russet, Tinto, Townsend, Little Baby’s Ice Cream, and Vernick. Winners were validated and everyone else attending were lucky enough to explore the city of brotherly love all it one convenient location. It was a privilege to work with the “best” event vendors in the area including Cinemacake, Ritz Carlton, Party Helpers, Carl Alan Floral Designs, Eventine Design, and Maddie Flanigan Photography. Pictured here with me in front of my wall is Vito Russo from Carl Alan and Alicia Vitarelli from 6abc news.